Baby number 4 was born nearly three months ago. She joined a rowdy crew of kids under seven years old. 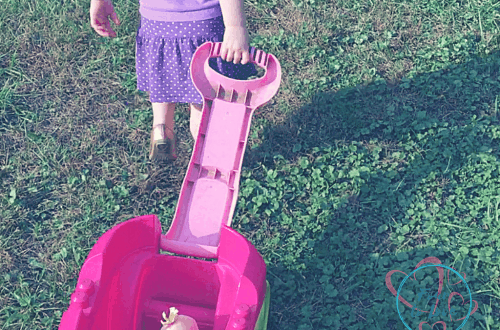 Our third child was not even two when she was born, and as many a stranger has pointed out, we have our hands full. 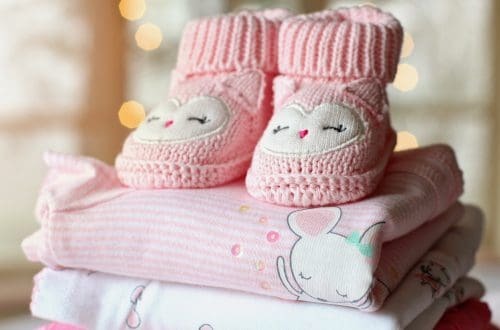 Babies born later in a large family have to go along for the ride—that is, to all kinds of dropoffs, pickups, and events that their older siblings are involved in. They are also at the mercy of a mom who is keeping track of an almost impossible amount of other tasks and needs. Thankfully, several tools have come in handy to make our experience a bit more manageable. 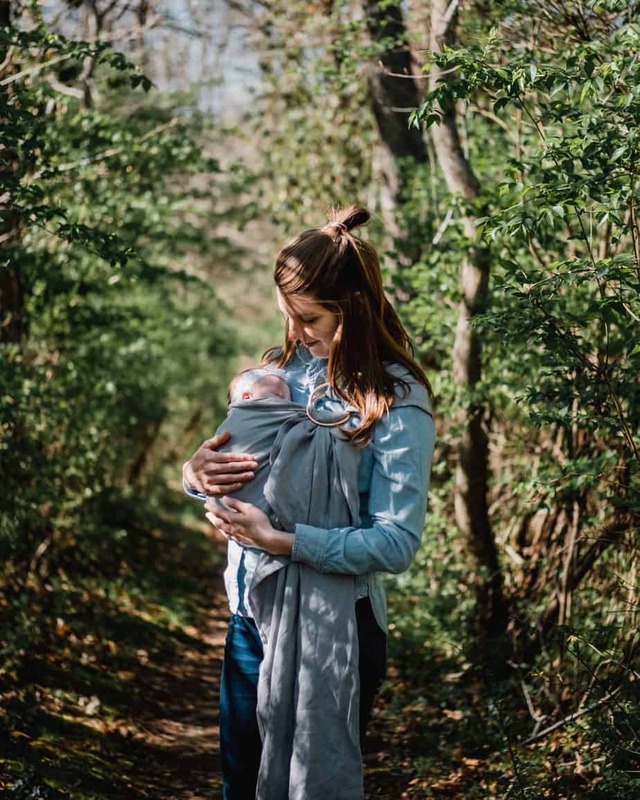 When our first baby was born, I felt a sense of freedom once I learned to wear her in my Moby wrap. I still have the original Moby wrap, which is essentially a long piece of stretchy fabric I learned to maneuver into a snug, comfy carrier for newborns through infancy. 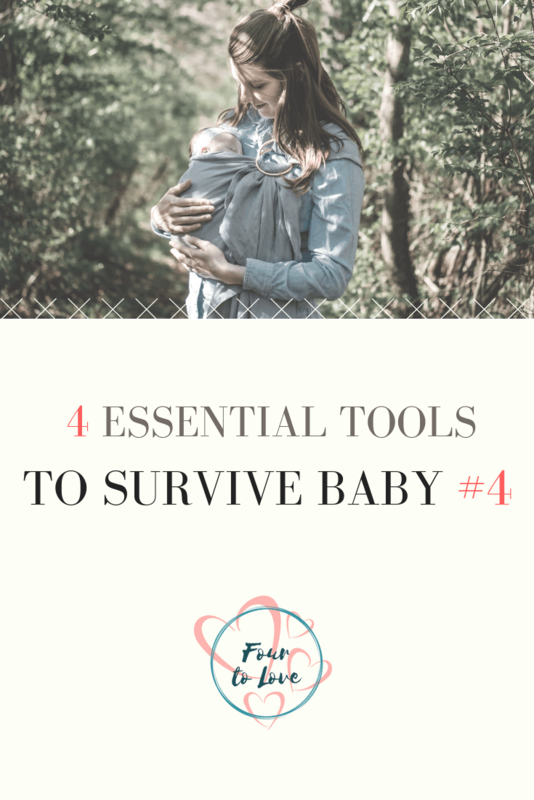 If I thought it was helpful for my firstborn, it was absolutely essential for baby number 4. I wore that tiny baby around to chase my toddler, take care of housework, play outside, go on walks—you name it! During those first few weeks, it was great to be able to keep her close while also being able to go about my daily life. The Moby is one of many varieties of baby wraps and carriers. I recommend finding one that works for you and wearing baby number 4 as much as is helpful during the first few months! The baby wrap is handy at home, but when running around—and especially transitioning a sleeping baby in and out of the van—our double stroller has been a lifesaver. You may not need a double stroller if there is a big age difference between baby number 4 and your next oldest child. However, if you have a toddler or even a preschooler, a double stroller is an excellent investment. We just purchased a Joovy Caboose Ultralight Graphite, and it’s the perfect stroller for us for several reasons. It folds down easily into a compact size. It is very light to push (I can do it with one hand!) and easy to turn and maneuver. Maybe best of all, it is super versatile. Right now, I have the rear seat (sold separately) installed and am using the car seat adapter to accommodate our infant car seat and young toddler. Who has the time or energy to take a shopping trip with four kids? Not me. Of course, Amazon Prime has practically saved my life on a number of occasions, and we love Kroger’s Grocery Pickup. Kroger’s website is particularly helpful because it allows me to start building my cart based on previous purchases. It also alerts me when products have coupons to apply. I rely on my phone to function since my brain is so fried. For example, I (embarrassingly) had to program in reminders to pick my two older kids up from school. Admittedly, I was afraid I’d forget! Calendaring is essential. I also downloaded an app called Baby Tracker that helps me remember when baby number 4 was last changed, fed, or put down for a nap. And I often use voice-to-text, since my hands are usually full! 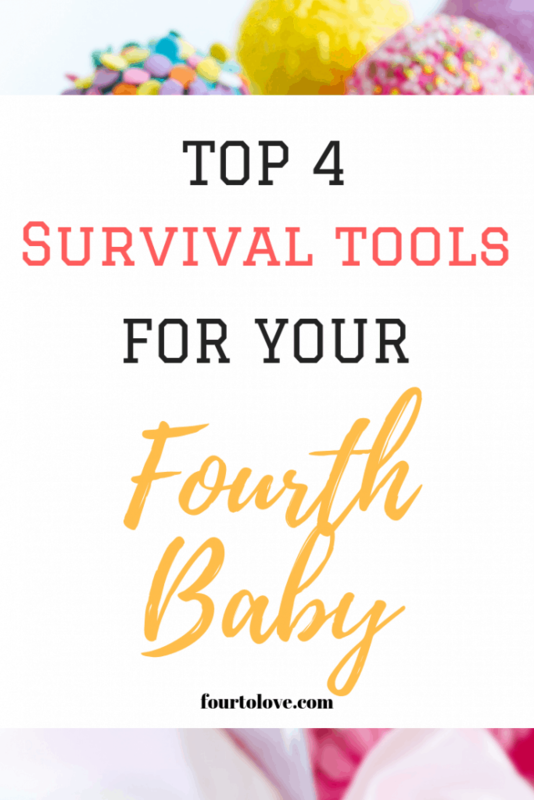 Of course, on top of these tools, you’ll need a lot of patience (with yourself and with your kids), and ideally, a supportive partner and community to help you conquer each day! Wow! You are a super mom! Congratulations!! 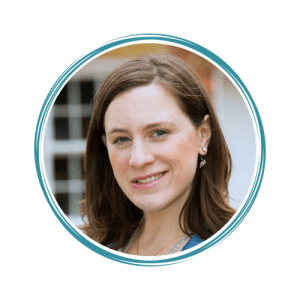 I love the way your page is set up and I believe you are going to be super successful at blogging about your mom adventures!